Art & Antiques Appraisals is a member of the Museums Association. Director James Glennie has been working in liaison with museums, galleries and heritage bodies over the past three decades and has an appreciation of the complexities and ethical issues facing the sector. We are pleased to have received instructions from The Royal College of Art, The British Museum, English Heritage, The Church of England and numerous other museums and heritage bodies. As a completely independent organisation we are able to bring our impartial commercial skills to the assistance of curators considering acquisitions and ethical disposal. We are leaders in the field of valuations for museums and heritage bodies whether the purpose is insurance, acquisition or disposal. Our valuations are widely accepted by grant giving and similar bodies such as the Heritage Lottery Fund, The Art Fund, The V&A Purchase Grant Fund, The Garfield Weston Foundation and the Government Indemnity Scheme. We are recommended by the leading specialist insurance brokers and underwriters and we are delighted that the Trustees of The Museum Valuation Charitable Trust have exclusively chosen Art & Antiques Appraisals to promote their attractive scheme. 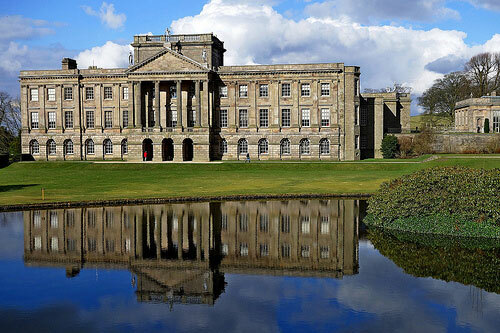 Art & Antiques Appraisals has conducted many valuations for English Heritage and at National Trust Houses, we offer a discrete service for private Historic House owners, where we are happy to discuss any aspect of collection management and give independent advice on acquisitions and sales. We provide illustrated inventories arranged to suit the client’s individual needs in a timely and affordable way.